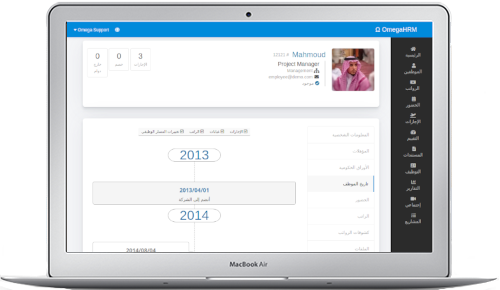 Easily add employee’s and keep records of all their information and qualifications. And a simple way to structure your departments on the go. 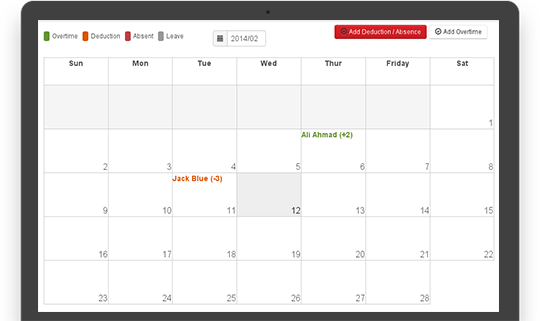 Track employee’s attendance and overtime hours in Omega HRM with a full featured monthly calendar and timesheet report. 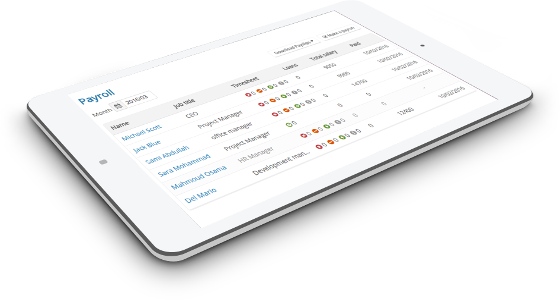 Track your employee’s detailed salaries, loans, deductions, and taxes easily with full integration to the timesheet module. Salary grades are available to make your life much easier too. Omega HRM solves all your problems when tracking employee’s leaves and vacations in spreadsheet applications. 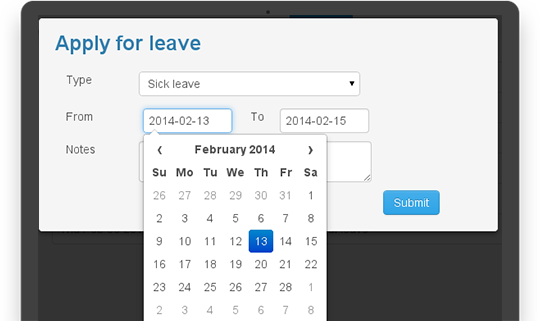 Complete employee self-service with customizable leave types and employee’s leave credit. 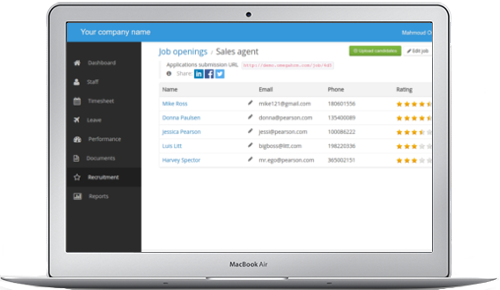 With our social-flavored and automated applicant tracking module finding the right people has never been easier. 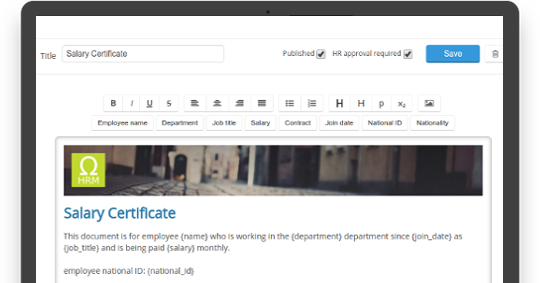 Import your documents or create your own templates interactively on OmegaHRM and let your employees generate or request automated documents. 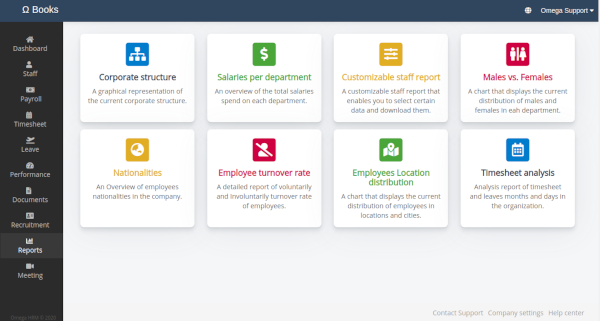 Take advantage of a large set of helpful HR reports like nationalities, corporate structure, turn over rate, payroll statistics, a customizable report. And the list goes on. OmegaHRM is built with a robust cloud infrastructure that can achieve 99.9% uptime availability per year, with periodic disaster recovery and data backup for all of your files securely.